A new paper by Evgeny Khukhro (Univ. of Lincoln), Pavel Shumyatsky (Univ. of Brasilia), and Gunnar Traustason (Univ. 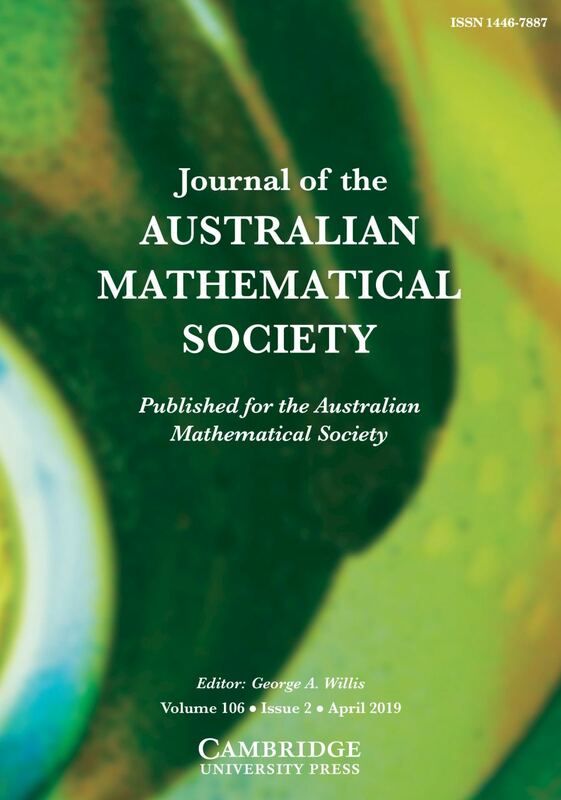 of Bath) “Right Engel-type subgroups and length parameters of finite groups” has been accepted for publication in Journal of the Australian Mathematical Society. The results of this paper were partially obtained during Evgeny Khukhro’s research visit to University of Brasilia in July of 2018 (supported by a grant of CNPq-Brazil). Abstract: Let be an element of a finite group and let be the subgroup generated by all the right Engel values over . In the case when is soluble we prove that if, for some , the Fitting height of is equal to , then belongs to the th Fitting subgroup . For nonsoluble , it is proved that if, for some , the generalized Fitting height of is equal to , then belongs to the generalized Fitting subgroup with depending only on and , where is the product of primes counting multiplicities. It is also proved that if, for some , the nonsoluble length of is equal to , then belongs to a normal subgroup whose nonsoluble length is bounded in terms of and . Earlier similar generalizations of Baer’s theorem (which states that an Engel element of a finite group belongs to the Fitting subgroup) were obtained by the first two authors in terms of left Engel-type subgroups. This entry was posted on March 23, 2019 by Evgeny Khukhro in grants, New publications, Recent places, research.